This Samsung EB-BT810ABE Battery has a capacity of 5870mAh and a voltage of 3.85V. Suitable for Samsung Galaxy SM-T817A SM-T817P SM-T817R4 SM-T817T SM-T817V SM-T817W. 100% compatible and 100% safe. 1-year warranty, 30-day money back guarantee. 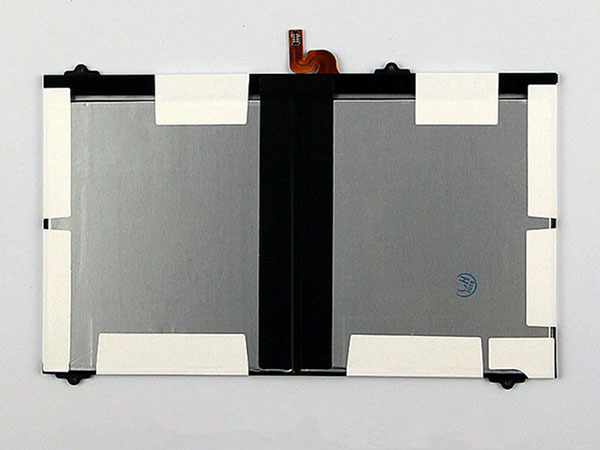 How to extend the battery life of your tablet? For the best charging, use an approved wall charger for your device, but if you can't connect to a power outlet, you can still charge your tablet with the brand's charging treasure. Keep the battery inserted into the device's port clean. Do not let the temperature of the device exceed 95 degrees Fahrenheit and limit your use in cold weather. In order to get extra guarantees or take a break from your hot battery, you might consider carrying a spare battery so you can replace it when you encounter a red alarm. Turn off Wi-Fi when not in use. Wi-Fi consumes a lot of power on all devices because it is always looking for signals. If you happen to have no strong signal, you can also turn off 4G LTE. Keep the screen as concealed as possible and close the application when you are done to prevent them from running in the background. Extend app refresh time: Set your email to get new mail every 15 minutes (or even longer). Put your device to sleep whenever possible. The push services that are immediately known are running in the background, but these notifications are often expensive. Turn it off when you need to save energy and disable location-based services when not in use. Change the display settings on your phone so that the screen timeout is shorter. Make sure Bluetooth is turned off when not in use, so your device won't try to pair with an out-of-the-box accessory. Turn off your GPS options. Live wallpaper applications also affect battery performance. When you are in the setup, see if you have the latest software, if not, update it! Also, make sure you have enough battery life to complete the software update. Please note that it will take at least three days after the software update to see the battery improvements.